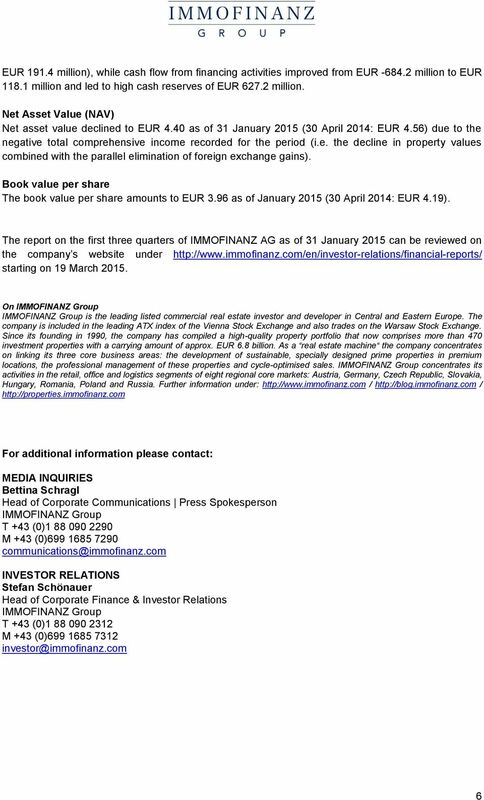 Download "Press Release Corporate News Vienna, 18 March 2015"
REPORT ON THE. - 52,467 standing investment units distributed almost equally between Austria and Germany, total floor area of 3. Key figures. Earnings Data 1-3/2007 1-3/2008 Change in % Ultimo 2007. 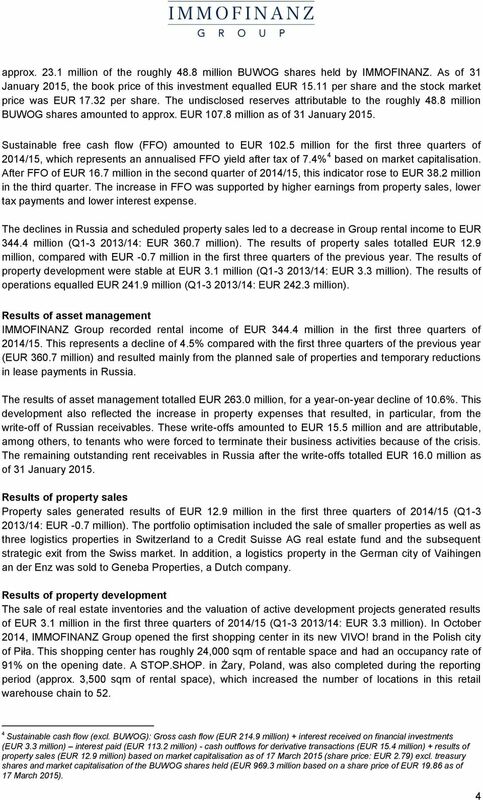 Revenues EUR million 23.56 25.33. 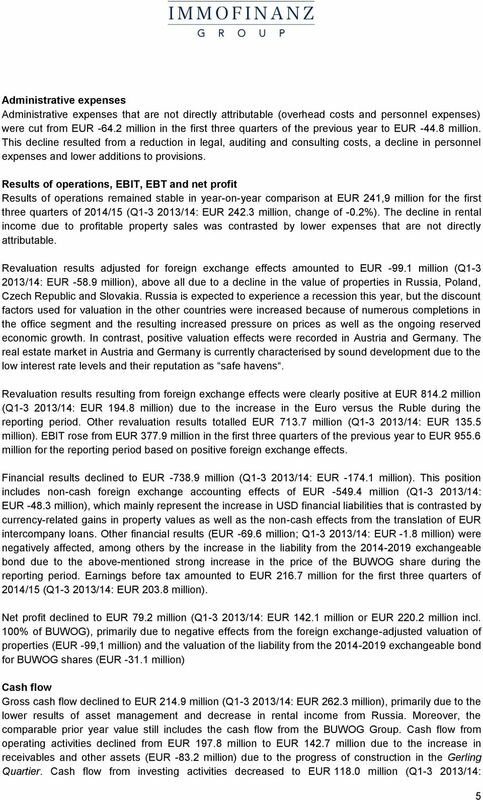 EBITDA EUR million 0.40 1. INVESTING THE RIGHT WAY. THE MOST NORMAL THING WITH BUWOG. Con sis ten cy. Positioned perfectly. 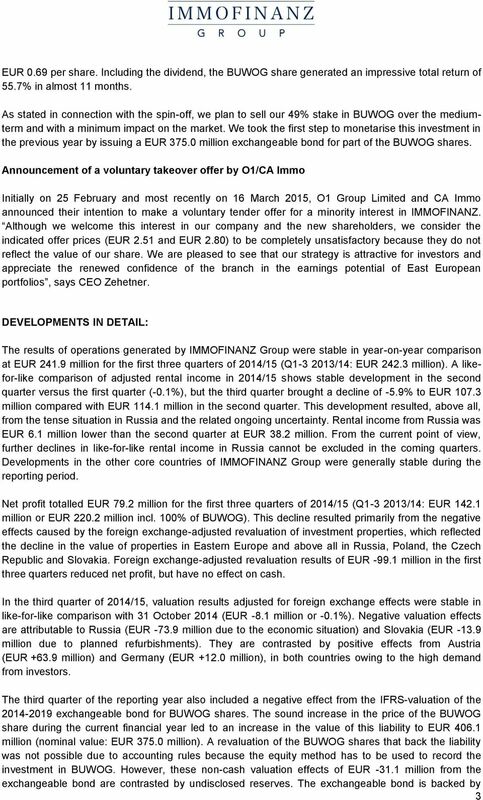 TAG Immobilien AG February 2010/Q1-Q3 2009 TAG I 1 Content I. 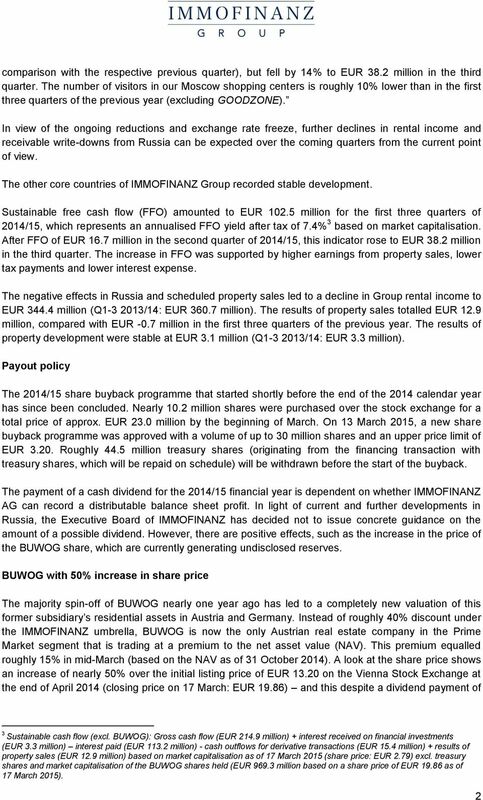 Group overview Investment case/ Structure Highlights Q3 page 3-6 II. Portfolio page 7-12 Residential Commercial Vacancy rates Q4/2009 III.